Fun in the sun becomes mayhem on the water. 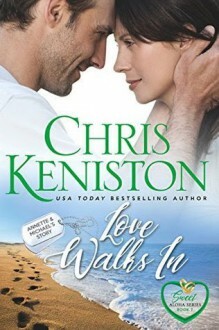 Chris Keniston is always on point. 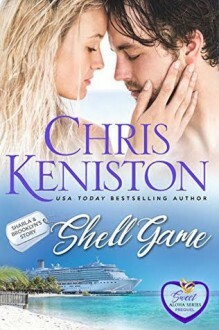 Sharla and Luke not only bring temptation to the high seas, but along the way get caught up in some serious intrigue. Shell Game reads like a crap shoot. Every turn holds a risk, but if you try your hand, the rewards could be endless. Loved it. Living is about learning. Sometimes those lessons come from the most surprising of places. Love Walks In is a glance into the meaning of love. 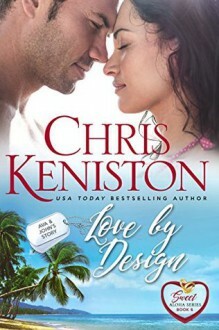 Chris Keniston gives the heart a voice and the soul a safe haven. Love is about giving of yourself and expecting nothing in return. It's about accepting the good with the bad and having faith in the unknown. For Michael and Annette, it took two precious children to guide them to a second chance. Love Walks In is in a class of it's own. Emotionally stunning. 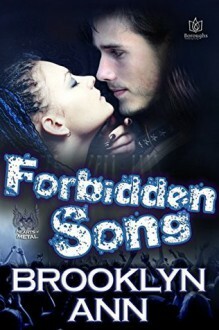 This is the fifth book in the Hearts of Metal series but I promise it can definitely be read as a standalone. I know this because I’ve only read the previous book yet I never felt lost. I love how the author was able to weave so many characters into one book without making it feel convoluted. All of them felt true to their nature, including “slutty” Cliff, who can still be a jerk at times but now that we start seeing things from his POV it’s impossible not to have feelings for the guy. Christine’s independent spirit causes more trouble than not but even so she was a lovable character because it was not mischief what drove her but an honest will to live her own life. I felt this book centered more around the dynamics of the band’s members and their personal struggles, but even so it did not lack in the romance department. Christine and Cliff’s relationship may take a backseat at times but it’s always present throughout the book. Their emotions are all palpable and when they were together it was all but fire on the pages! The mix of drama and funny, laugh-out-loud moments made this book pretty enjoyable. And the fact that we get to visit with all of the other bands, including Rage of Angels (from the Bride of Prophecies series) makes it a memorable one as well. In short, I think this story is the perfect tease because if anyone picks this one up before the previous books in the series will want to get them all and start reading them asap. The story wasn’t bad but I had a few issues that didn’t let me fully enjoy this story. It was a good romance story, not to mention the suspense sub-plot indeed kept me turning the pages. The thing is, I think there were too many things this book could have done without and it still would have been a good story. It all started with lots of heart-pumping action. Someone murdered Grace’s father and now she’s trying to escape the same fate. Miraculously, she ends up in the land of a well-placed family that takes her as one of their own. After that initial encounter and Grace’s convalescence, the pace starts slowing down. The characters were charismatic and complex. Hugh was smart and charming; stern when needed yet wicked when he wanted to be. Grace was also smart with the gift of a super memory, although it took forever to get to why it was so important she had such a gift. Jo, Hugh’s sister had a tragic past, something that I also think we spend too much time on. I think they were setting ground for future books but again, I think it was not needed. The writing was impeccable and the historical accuracy was on point. The problem with that was that we spent too much time reading about history and not enough time with the main characters as people. Even the suspense that was so good at the start ends up being kind of a let down because I felt some things about Grace’s father were more guesswork than actual answers.